Remember that The Dictionary is a free resource and quoting contents (ideally with acknowledgement) and linking to its entries (via the buttons provided) are both encouraged. People are now also welcome to contribute their own definitions. You can use the comments section here, or the dedicated form. Submissions will be subject to editorial review and are not guaranteed to be accepted. Today I am talking to Christopher Bannocks, who is Group Chief Data Officer at ING. ING is a leading global financial institution, headquartered in the Netherlands. As stressed in other recent In-depth interviews , data is a critical asset in banking and related activities, so Christopher’s role is a pivotal one. I’m very glad that he has been able to find time in his busy calendar to speak to us. Hello Christopher, can you start by providing readers with a flavour of your career to date and perhaps also explain why you came to focus on the data arena. Sure, it’s probably right to say I didn’t start out here, data was not my original choice, and for anyone of a similar age to me, data wasn’t a choice, when I started out, in that respect it’s a “new segment”. I started out on a management development programme in a retail bank in the UK, after which I moved to be an operations manager in investment banking. As part of that time in my career, post Euro migration and Y2K (yes I am genuinely that old, I also remember Vinyl records and Betamax video!) I was asked to help solve the data problem. What I recognised very quickly was this was an area with under-investment, that was totally central the focus of that time – STP (Straight Through Processing). Equally it provided me with much broader perspectives, connections to all parts of the organisation that I previously didn’t have and it was at that point, some 20 years ago, that I decided this was the thing for me! I have since run and driven transformation in Reference Data, Master Data, KYC , Customer Data, Data Warehousing and more recently Data Lakes and Analytics, constantly building experience and capability in the Data Governance, Quality and data services domains, both inside banks, as a consultant and as a vendor. I am trying to get a picture of the role and responsibilities of the typical CDO (not that there appears to be such a thing), so would you mind touching on the span of your work at ING? I know you have a strong background in Enterprise Data Management, how does the CDO role differ from this area? I guess that depends on how you determine the scope of Enterprise Data Management. However, in reality, the CDO role encompasses Enterprise Data Management, although generally speaking the EDM role includes responsibility for the day to day operations of the collection processes, which in my current role I don’t have. I have accountability for the governance and quality through those processes and for making the data available for downstream consumers, like Analytics, Risk, Finance and HR. My role encompasses being the business driver for the data platform that we are rolling out across the organisation and its success in terms of the data going onto the platform and the curation of that data in a governed state, depending on the consumer requirements. My role today boils down to 4 key objectives – data availability, data transparency, data quality and data control. I know that ING consists of many operating areas and has adopted a federated structure with respect to data matters. What are the strengths of this approach and how does it work on a day-to-day basis? This approach ensures that the CDO role (I have a number of CDOs functionally reporting to me) remains close to the business and the local entity it supports, it ensures that my management team is directly connected to the needs of the business locally, and that the local businesses have a direct connection to the global strategy. What I would say is that there is no “one size fits all” approach to the CDO organisation model. It depends on the company culture and structure and it needs to fit with the stated objectives of the role as designed. On a day to day basis, we are aligned with the business units and the functional units so we have CDOs in all of these areas. Additionally I have a direct set of reports who drive the standard solutions around tooling, governance, quality, data protection, Data Ethics, Metadata and data glossary and models. Helping organisations become “data-centric” is a key part of what you do. I often use this phrase myself; but was recently challenged to elucidate its meaning. What does a “data-centric” organisation look like to you? What sort of value does data-centricity release in your experience? Data centric is a cultural shift, in the structures of the past where we have technology people and process, we now have data that touches all three. You know if you have reached the right place when data becomes part of the decision making process across the organisation, when decisions are only made when data is presented to support it and this is of the requisite quality. This doesn’t mean all decisions require data, some decisions don’t have data and that’s where leaderships decisions can be made, but for those decisions that have good data to support them, these can be made easily and at a lower level in the organisation. Hence becoming data centric supports an agile organisation and servant / leadership principles, utilising data makes decisions faster and outcomes better. I am on record multiple times  stating that technology choices are much less important than other aspects of data work. However, it is hard to ignore the impact that Big Data and related technologies have had. A few years into the cycle of Big Data adoption, do you see the tools and approaches yielding the expected benefits? Should I revisit my technology-agnostic stance? I have also been on record multiple times saying that every data problem is a people problem in disguise. I still hold that this is true today although potentially this is changing. The problems of the past and still to this day originate with poor data stewardship, I saw it happening in front of my eyes last week in Heathrow when I purchased something in a well known electronics store. Because I have an overseas postcode the guy at the checkout put dummy data into all the fields to get through the process quickly and not impact my customer experience, I desperately wanted to stop him but also wanted to catch my plane. This is where the process efficiency impacts good data collection. If the software that supports the process isn’t flexible, the issue won’t be fixed without technology intervention, this is often true in data quality problems which have knock on effects to customers, which at the end of the day are why we are all here. This is a people problem (because who is taking responsibility here for fixing it, or educating that guy at the checkout) AND it’s a technology problem, caused by inflexible or badly implemented systems. However, in the future, with more focus on customer driven checkout, digital channels and better customer experience, better interface driven data controls and robotics and AI, it may become further nuanced. People are still involved, communication remains critical but we cannot ignore technology in the digital age. For a long time, data groups have struggled with getting access to good tools and technology, now this technology domain is growing daily, and the tools are improving all the time. What we can do now with data at a significantly lower cost than ever before is amazing, and continues to improve all the time. Hence ignoring technology can be costly when extending capabilities to your stakeholders and could be a serious mistake, however focusing only on technology and ignoring people, process, communication etc is also a serious mistake. Data Leaders have to be multi-disciplinary today, and be able to keep up with the pace of change. I have heard you talk about “data platforms”, what do you mean by this and how do these contrast with another perennial theme, that of data democratisation? How does a “data platform” relate to – say – Data Science teams? Data democratisation is enabled by the data platform. The data platform is the technology enablement of the four pillars I mentioned before, availability, transparency, quality and control. The platform is a collection of technologies that standardise the approach and access to well governed data across the organisation. Data Democratisation is simply making data available and abstracting away from siloed storage mechanisms, but the platform wraps the implementation of quality, controls and structure to the way that happens. Data Science teams then get the data they need, including data curation services to find the data they need quickly, for governed and structured data, Data Science teams can utilise the glossary to identify what they need and understand the level of quality based on consumer views, they also have access to metadata in standard forms. This empowers the analytics capability to move faster, spend less time on data discovery and curation, structure and quality and more time on building analytics. I mentioned the federated CDO team at ING above and assume this is reflected in the rest of the organisation structure. ING also has customers in 40 countries and I know first-hand that a global footprint adds complexity. What are the challenges in being a CDO in such an environment? Does this put a higher premium on influencing skills for example? 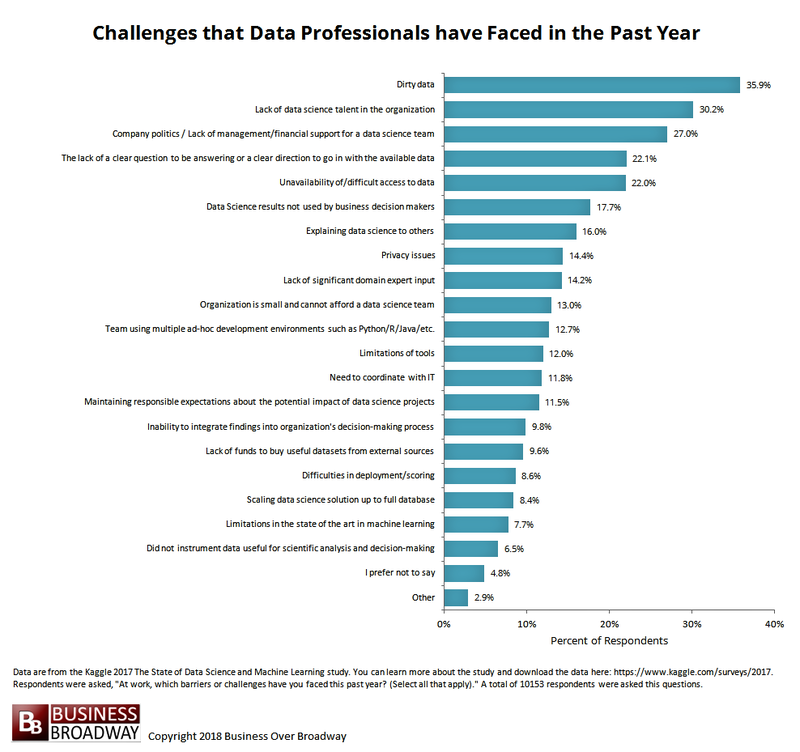 I am not sure it puts a higher premium on influencing skills, these have a high premium in any CDO role, even if you don’t have a federated structure, the reality is if you are in a data role you have more stakeholders than anyone else in the company, so influencing skills remain premium. A global footprint means complexity for sure, it means differences in a world where you are trying to standardise and it means you have to be tuned in to cultural differences and boundaries. It also means a great deal of variety, opportunities to learn new cultures and approaches, it means you have to listen and understand and flex your style and it means pragmatism plays an important part in your decision making process. At ING we have an amazing team of people who collaborate in a way I have never experienced before, supported by a strong attachment and commitment to the success of the business and our customers. This makes dealing with the complexity a team effort, with great energy and a fantastic working environment. In an organisation without the drive and passion we have here it would present challenges, with the support of the board and being a core part of the overall strategy, it ensures broad alignment to the goal, which makes the challenge easier for the organisation to solve, not easy, but easier and more fun. Building on the last point, every CDO I have interviewed has stressed the importance of relationships; something that chimes with my own experience. How do you go about building strong relationships and maintaining them when inevitable differences of opinion or clashes in interests arise? I touched on this a little earlier. Pragmatism over purism. I see purist everywhere in data, with views that are so rigid that the execution of them is doomed because purism doesn’t build relationships. Relationships are built based on what you bring and give up, on what you can give, not on what you can get. I try every day to achieve this, but I am human too, so I don’t always get it right, I hope I get it right more than I get it wrong and where I get it wrong I hope I can be forgiven for my intention is pure. We owe it to our customers to work together for their benefit, where we have differences the customer outcomes should drive our decisions, in that we have a common goal. Disagreements can be helped and supported by identifying a common goal, this starts to align people behind a common outcome. Individual interests can be put aside in preference of the customer interest. I know that you are very interested in data ethics and feel that this is an important area for CDOs to consider. Can you tell the readers a bit more about data ethics and why they should be central to an organisation’s approach to data? In an increasingly digital world, the use of data is becoming widespread and the pace at which it is used is increasing daily, our compute power grows exponentially as does the availability of data. Given this, we need an ethical framework to help us make good decisions with our customers and stakeholders in mind. How do you ensure that decisions in your organisation about how you use data are ethical? What are ethical decisions in your organisation and what are the guiding principles? If this isn’t clear and communicated to help all staff make good decisions, or have good discussions there is a real danger that decisions may not be properly socialised before all angles are considered. Just meeting the bar of privacy regulation may not be enough, you can still meet that bar and do things that your customers may disagree with of find “creepy” so the correct thought needs to be applied and the organisation engaged to ensure the correct conversations take place, and there is a place to go to discuss ethics. I am not saying that there is a silver bullet to solve this problem, but the conversation and the ability to have the conversation in a structured way helps the organisation understand its approach and make good decisions in this respect. That’s why CDOs should consider this an important part of the role and a critical engagement with users of data across the organisation. Finally, I have worked for businesses with a presence in the Netherlands on a number of occasions. As a Brit living abroad, how have you found Amsterdam. What – if any – adaptations have you had to make to your style to thrive in a somewhat different culture? Having lived in India, I thought my move to the Netherlands could only be easy. I arrived thinking that a 45 minute flight could not possibly provide as many challenges as an 11 hour flight, especially from a cultural perspective. Of course I was wrong because any move to a different culture provides challenges you could never have expected and it’s the small adjustments that take you by surprise the most. It’s always a hugely enjoyable learning experience though. London is a more top down culture whereas in the Netherlands it’s a much flatter approach, my experience here is positive although it does require an adjustment. I work in Amsterdam but live in a small village, chosen deliberately to integrate faster. It’s harder, more of a challenge but helps you understand the culture as you make friends with local people and get closer to the culture. My wife and I have never been a fan of the expat scene, we prefer to integrate, however more difficult this feels at first, it’s worth it in the long run. I must admit though that I haven’t conquered the language yet, it’s a real work in progress! Christopher, I really enjoyed our chat, which I believe will also be of great interest to readers. Thank you. Christoper Bannocks can be reached at via his LinkedIn profile. Disclosure: At the time of publication, neither peterjamesthomas.com Ltd. nor any of its Directors had any shared commercial interests with Christopher Bannocks, ING or any entities associated with either of these. Between November and December 2017, I published the three parts of my Anatomy of a Data Function. These were cunningly called Part I, Part II and Part III. Eight months is a long time in the data arena and I have now issued an update. Split Artificial Intelligence out of Data Science in order to better reflect the ascendancy of this area (and also its use outside of Data Science). Change Data Science to Data Science / Engineering in order to better reflect the continuing evolution of this area. My aim will be to keep this trilogy up-to-date as best practice Data Functions change their shapes and contents.